У статті охарактеризовано основні виклики, що постали перед фінансовими системами країн світу з огляду на появу криптовалют, які здатні порушити монополію центральних банків щодо контролю грошової маси в обігу. Визначено наявні у світовій та вітчизняній практиці підходи до визначення сутності криптовалют. Розглянуто основні відмінності між електронними грошима і віртуальною валютою. Здійснено оцінку тенденцій на ринку криптовалют, динаміки капіталізації основних криптовалют, зокрема біткоіна, структури криптовалютного ринку. Проаналізовано ситуацію відносно визначення правового статусу криптовалюти в зарубіжних країнах та Україні, обґрунтовано наявність у світовій практиці п’яти основних підходів до регулювання ринку криптовалют. Визначено переваги та недоліки потенційного використання криптовалют як платіжного засобу, а також ризики, пов’язані із частковим заміщенням офіційних платіжних засобів криптовалютами. Визначено ключові передумови застосування ефективних регулятивних підходів до здійснення операцій з криптовалютами, напрями побудови законодавчо-нормативної бази таких операцій в Україні. Ключові слова: криптовалюта; фіатні гроші; монетарна політика; центральний банк; засіб обміну; капіталізація; майнінг. 1. Волосович С. В. Віртуальна валюта: глобалізаційні виклики і перспективи розвитку / С. В. Волосович // Економіка України. – 2016. – № 4. – 68–87. 5. Пантелєєва Н. М. Нові форми грошей в умовах формування інформаційного суспільства / Н. М. Пантелєєва // Вісник Національного банку України – 2014. - №5.– С. 25–31. 7. Про платіжні системи та переказ коштів в Україні : Закон України № 2346-III від 5.04.2001 р. із змінами і доповненнями, внесеними Законом України № 569-VIII (569-19) від 01.07.2015 // Відомості Верховної Ради України. – 2015. – № 33. – С.327. 18. Stevens, A. (2017) ‘Digital currencies: Threats and opportunities for monetary policy’, NBB Economic Review. June 2017, National Bank of Belgium. The paper deals with the main challenges, which are typical for the most countries’ financial systems due to an emergence of cryptocurrencies. Those are able to break the monopoly of official central bank-controlled currencies. Cryptocurrencies are increasingly thought of as actual currencies that can be used as mediums of exchange. The existing approaches in worldwide and national practice to determining the cryptocurrencies’ essence, as well as the main differences between electronic money and virtual money are described. Some of the terms used by countries to reference cryptocurrency include: digital currency, virtual commodity, crypto-token, payment token, cyber currency, electronic currency, and virtual asset. The existing contemporary trends on cryptocurrency market, dynamics of main cryptocurrencies capitalization, and the structure of cryptocurrency market are evaluated. The situation concerning the cryptocurrencies legal status definition in Ukrainian and foreign law is analyzed; the main five approaches to cryptocurrencies’ market regulation are identified. Authors highlight potential advantages and drawbacks of using the cryptocurrency as a legal tender, likewise the main risk interconnected with replacement of official fiat currencies by cryptocurrencies. Those could evolve into legitimate private means of payment, but we do not see them evolving in ways that would challenge the powers of official currencies. Ultimately, as a potential competitor to official currencies, cryptocurrencies could even have a positive effect by acting as a disciplining device pushing central banks to take their price stability mandates seriously. The necessary determinants of implementation the efficient regulation approaches to the cryptocurrencies’ transactions and the ways of legislative base formation in Ukraine are shown. To our mind, the main steps for Ukrainian financial market regulators nowadays could be recognition of cryptocurrencies as digital currencies, introduction of favorable regime of cryptocurrencies market regulation, and development of fluent approaches to the taxation of incomes generated by transactions with cryptocurrencies. These steps will lead to the investments’ increasing on the financial market, and in addition will give the opportunity to mitigate the risks of market participants and provide the higher level of transparency. Keywords: cryptocurrency; fiat money; monetary policy; central bank; medium of exchange; cryptocurrencies market; capitalization; mining. 1. Volosovych, S. V. (2016), “Virtual currency: globalization challenges and prospects for development”, Ekonomika Ukrainy, No. 4, pp. 68-87. 2. Zahnitko, O. (2017) “Bitkoin: to set do not forbid”, Kyiv School of Economics, available at:: http://www.kse.org.ua/en/about/kse-news/?newsid=2096 (Accessed 4 Nov 2018). 3. Kutsevol, M.A., and Shevchenko-Naumova, O.A. 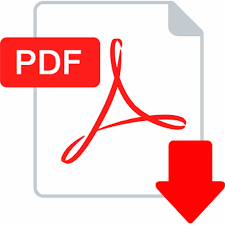 (2015), “The concept and economic nature of the cryptocurrency”, Molodizhnyj ekonomichnyj dajdzhest, vol.4, pp.79-85, available at: http://ir.kneu.edu.ua:8080/bitstream/2010/16391/1/79-85.pdf (Accessed 10 Nov 2018). 4. Letter of the National Bank of Ukraine “Concerning the assignment of operations with the “virtual currency / crypto-currency “Bitcoin” to transactions [...], [12.08.2014], No. 29-208 / 72889, available at: http://zakon2.rada.gov.ua/laws/show/v2889500-14 (Accessed 5 Nov 2018). 5. Panteleyeva, N. M. (2014), “New forms of money in the conditions of the formation of an information society”, Herald of the National Bank of Ukraine, vol.5, pp. 25-31. 6. Draft Law of Ukraine [dated 06.10.2017], No. 7183, “On the turnover of Cryptocurrencies in Ukraine”, available at: http://w1.c1.rada.gov.ua/pls/zweb2/webproc4_1?pf3511=62684 (Accessed 11 Nov 2018). 7. On payment systems and transfer of funds in Ukraine , Law of Ukraine No. 2346-III, [of April 5, 2001], as amended by the Law of Ukraine No. 569-VIII (569-19), [dated 01.07.2015]. Bulletin of the Verkhovna Rada of Ukraine, No. 33, p. 327. 8. Draft Law of Ukraine [dated 10.10.2017], No 7183-1, “On stimulation of the market of cryptovolume and their derivatives in Ukraine”, available at: http://w1.c1.rada.gov.ua/pls/zweb2/webproc4_1?pf3511=62710 (Accessed 11 Nov 2018). 9. Soslovskyi, V.H., and Kosovskyi, I.O. (2017), “Cryptocurrencies as a system of investment projects”, Visnyk Universytetu bankivskoi spravy, vol. 1, available at: http://visnuk.ubsnbu.edu.ua/article/view/114597 (Accessed 10 Nov 2018). 10. Smith, B. (2017). “Bitkonin as a global dollar change: the crisis in the United States will generate a single world currency”, Ekonomyka sehodnia, available at: https://rueconomics.ru/264298-bitkoin-kak-globalnaya-zamena-dollaru-krizis-v-ssha-porodit-edinuyu-mirovuyu-valyutu (Accessed 1 Nov 2018). 11. Tomilin, V. (2017),“Australia isn’t in hurry to recognize the cryptocurrency as money”, Novyny kryptovaliut, available at: http://kriptovalyuta.com/ua/novini/money/avstraliya-ne-pospishaye-viznavati-kriptovalyutu-groshima (Accessed 11 Nov 2018). 12. Unian.ua (20.07.2018), “Ukraine does the step to cryptocurrencies regulation”, available at: https://economics.unian.ua/finance/10195896-ukrajina-zrobila-krok-do-regulyuvannya-kriptovalyut.html (Accessed 11 Nov 2018). 13. The Law Library of Congress (2018), “Regulation of Cryptocurrency Around the World”, Global Legal Research Center, June 2018, available at: https://www.loc.gov/law/help/cryptocurrency/world-survey.php (Accessed 12 Nov 2018). 14. Beikverdi, A. (2015), “Is China the Primary Driving Force in Bitcoin?”, Cointelegraph, vol.3, available at:: http://cointelegraph.com/news/is-china-the-primary-driving-force-in-bitcoin (Accessed 4 Nov 2018). 15. European Central Bank (2012), “Virtual Currency Schemes”, available at: http://www.ecb.europa.eu/pub/pdf/other/virtualcurrencyschemes201210en.pdf (Accessed 4 Nov 2018). 16. Clayes, G., Demetris, M., and Efstathiou, K. (2018), “Cryptocurrencies and monetary policy”, European parliament. Policy Department for Economic, Scientific and Quality of Life Policies, June 2018, available at:http://bruegel.org/2018/06/cryptocurrencies-and-monetary-policy/ (Accessed 11 Nov 2018). 17. Schultz, R. (2016), “What Influences the Price of Bitcoin: 2011-2015”, available at: http://cryptohustle.com/what-influences-the-price-of-bitcoin-2011-2015-thesis (Accessed 11 Nov 2018).